For those who don’t know, Nobuyuki “Nobu” Matsuhisa is a Japanese celebrity chef and restaurateur. Nobu is known for his unique fusion style of blending Japanese dished with Peruvian ingredients. Nobu’s super-star status can in part be credited to his friendship to Robert De Niro, who was a frequent patron of Nobu’s much loved Los Angeles restaurant, Matsuhisa, in Beverly Hills. De Niro, a big fan of Nobu, invited Nobu to open a restaurant in De Niro’s hometown, New York City. After ups and downs in the restaurant world, Nobu jumped at the chance and entered into a partnership with the well-known actor in 1993 opening the first “Nobu” in TriBeCa. It became wildly successful. So much so that the two went on to open other restaurants together in Milan, London, Qatar, Greece, Dallas, Tokyo, Honolulu, Moscow, Dubai, Mexico City, Budapest and Hong Kong. In total, Nobu now has 38 restaurants on five continents. Devoted entirely to his empire, Nobu is known to travel about 10 months of the year to oversee his numerous establishments first-hand. I have always been a huge fan of Nobu. 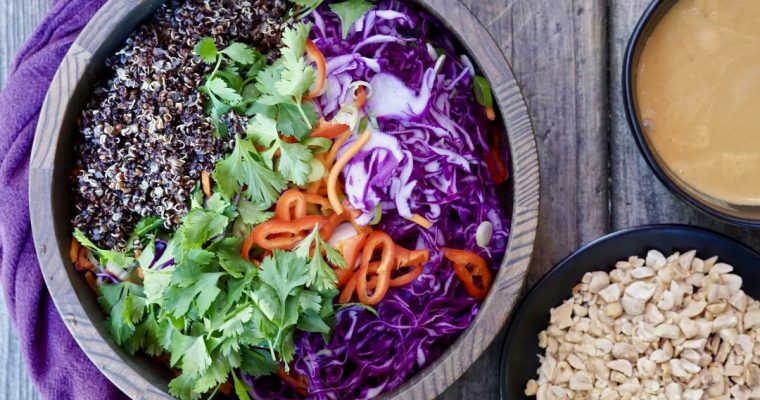 His food is incredible, clean and simple in some ways but layered with flavors. His signature dish, black cod in miso, is insanely good. While pricey, if you have not yet been to one of Nobu’s restaurants, I encourage you to go. It is a memorable experience. This dish is another well-known Nobu dish I love. It’s called Nobu New Style Sashimi. 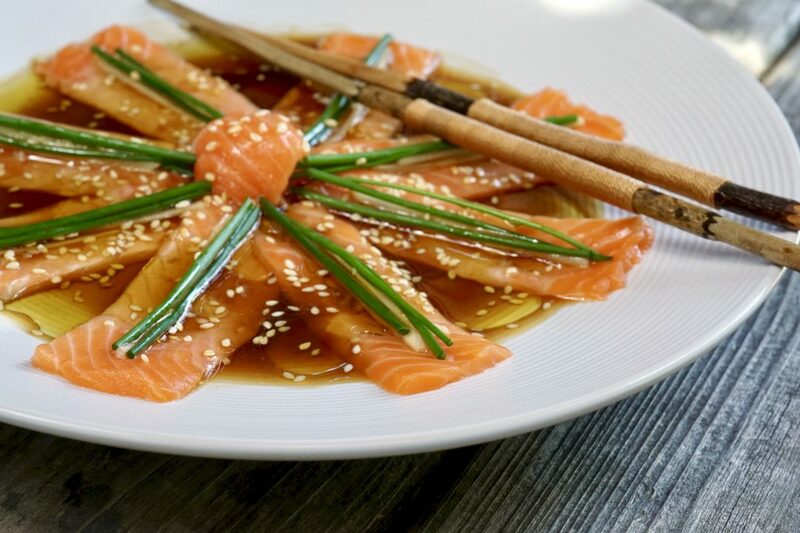 Considered a trademark dish, Nobu invented it when a customer sent back a plate of sashimi because he didn’t like raw fish. 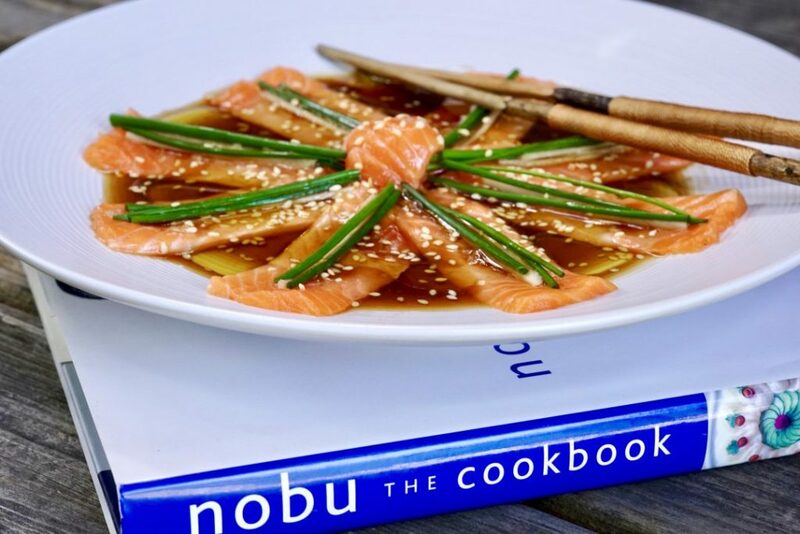 Legend has it that Nobu’s solution was to heat a sauce to very high temperatures and pour it over the raw fish, in essence “cooking it”. This dish is easy, flavorful and like much of Nobu’s food, memorable. This has a perfect balance of salty and sweet and it could not be easier to make. I could eat this dish regularly as a meal. 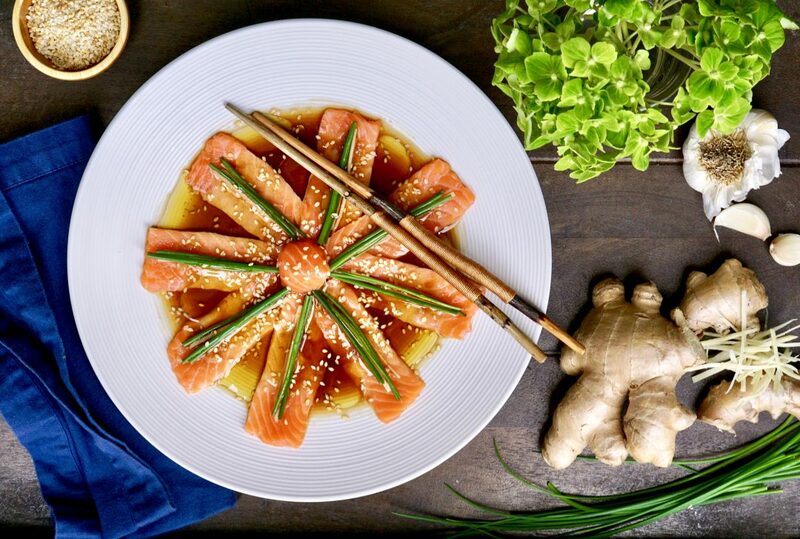 Traditional sashimi is my go-to, but this is a lovely way to make salmon (which I also love) remarkable. This new style sashimi is a great appetizer served individually, or in platters–it will please almost any fish-lover. If you need some guidance on how to slice salmon for this easy sashimi dish, check out this helpful video here. Step 2 Scatter some minced garlic and ginger on top. Place the julienned scallion neatly over the fish. Sprinkle with the sesame seeds. Drizzle the soy sauce and yuzu juice on top. Step 3 Combine the olive oil and sesame oil in a nonreactive small saucepan. Set over moderately high heat and bring almost to a boil (about 200°) the surface will shimmer. 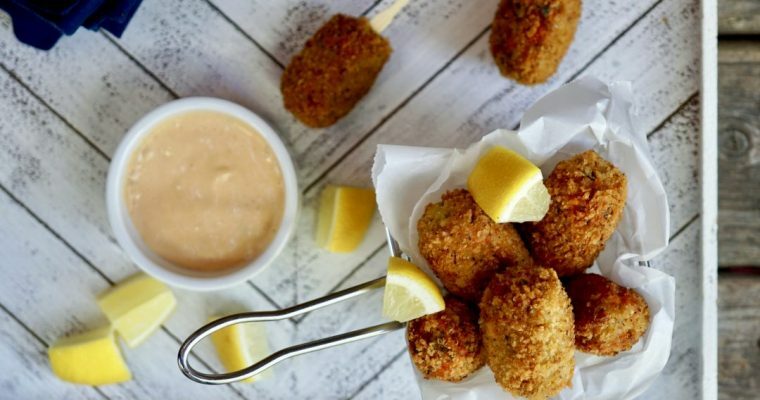 Remove from the heat and immediately pour one-fourth of the sauce over each serving of fish. The hot oil will sear the fish as you pour it on. Serve at once.